Maureen K. Day, Ph.D. | Sociologist, Professor, Theologian. I’ll apply an important lesson from my preaching class to this reflection: Your sermon should always provide good news to your listeners. When we first hear about the band who came to seize Jesus, we’re told of soldiers and guards. Peter, passionate and impulsive, reminds us that anger often follows the path of least resistance. He draws a sword and attacks, but not a soldier, not someone of power. Peter attacks Malchus, a slave. Likely, Malchus was not there of his own accord and had no personal interest in the situation. He had done nothing. He was innocent. And still, Malchus becomes the target of Peter’s anger. With all the events that needed to be written down for Good Friday, this Gospel writer could have easily omitted Malchus’ name. True, his name doesn’t add to the plot… but, it does add to the story. The author of this Gospel may have recorded the name of this vulnerable, powerless slave to remind us that Jesus cared about those who were vulnerable and powerless. Malchus will never be “forgotten like the unremembered dead.” Malchus is forever a part of the story. He was marginalized and brutalized, but then lifted up and remembered. Including his name reminds us that there are possibilities for hope where there is despair, for solidarity amid fracture, and for tenderness, compassion and recognition in times of great violence. Good and merciful God, help me to see when I am being like Peter, finding scapegoats for my anger and frustration. Give me the courage to oppose real sources of personal and social ill, and to discern the good, rather than the easy. Open my eyes and heart to those who, like Malchus, are oppressed. Lead me to bring justice and hope to our world. Amen. A Good Friday, blessed Triduum and joyful Easter to everyone! Do you wonder about teaching and the teaching life in theological education? In what ways would a yearlong conversation about teaching and learning ground your vocational identity? This workshop is a collaborative peer opportunity to develop pedagogical skills, reflect on teaching identity, learn in community, and navigate institutional dynamics. 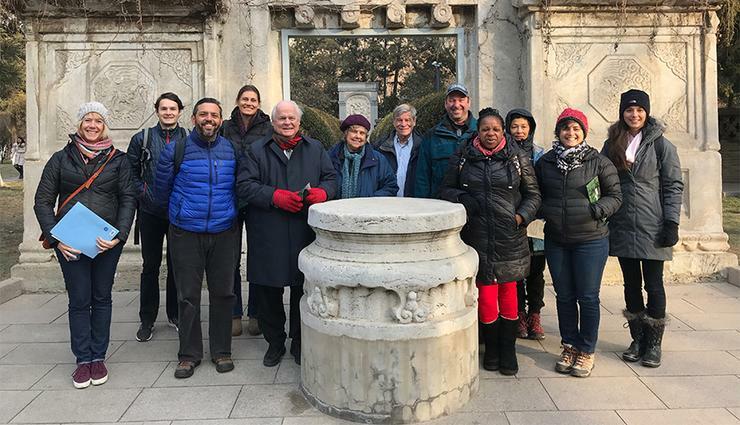 The workshop will gather 14 faculty members for a week in two successive summers at Wabash College, and a weekend winter retreat in Corpus Christi, Texas. There will be a balance of plenary sessions, small group discussions, workshop sessions, structured and unstructured social time, and time for relaxation, exercise, meditation, discovery, laughter, and lots of good food and drink. Sounds like it’s right up my alley. Thank you, Wabash! This article examines the changing images of womanhood within two American Catholic publications: Catholic Mind and Catholic Digest. In the early 1950s, the periodicals had similar constructions of women, with a divergence in thought in the 1960s. Catholic Mind wrote very little on women for the majority of the decade. Catholic Digest in the 1960s featured women who worked in traditionally male roles while they also maintained that women’s primary sphere was in the home. The difference between the two publications becomes stark in the 1970s. Catholic Digest leaned conservative to mainstream and focused on women’s roles in home and secular society without asking ecclesial questions. Catholic Mind’s articles on women primarily examined ecclesial roles (e.g., women’s ordination) and demanded equality in the secular world. This fissure in female identity among American Catholics coincides with the political divide in the United States more generally. I hope thinking about the three decades featured here can get us all thinking about our current notions of womanhood a bit more, too. I just got word from our principal investigator, Tricia Bruce at the University of Notre Dame, that we have received the funding for a project examining Americans’ attitudes on abortion. The McGrath Institute for Church Life of the University of Notre Dame will be funding this important work. In a nutshell: The vast majority of the literature we have on Americans’ attitudes on abortion is from surveys; these tend to offer respondents forced choice/close-ended sorts of questions, which lack the depth or subtleties that may better characterize their true thinking on the issue. The studies that allow respondents to elaborate their beliefs in their own words tend to focus on activists (who are generally not representative of your “typical” American in their position or level of commitment). Using interviews in conjunction with the extant survey data, this study will help us better understand the tensions people navigate and the moral values they tap into when it comes to the abortion issue, as well as illuminate what’s going on behind the survey data.